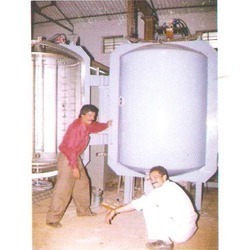 Manufacturer & Exporter of Coating Plants & Double Door Coating Plant. Our product range also comprises of Vacuum Pumps, Liquid Nitrogen Container and Pump Components. With the help of our state-of-the-art infrastructure unit, we are able to manufacture, export, import and supply the superlative quality of Coating Plants. The offered plants are available in various specifications and designs as per the clients’ needs. Provided plants are manufactured using superior quality raw material and innovative technology in compliance with industry standards. Moreover, these plants are checked on different parameters under the guidance of our quality experts. 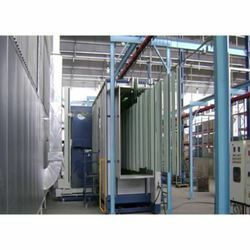 We are one of the leading organizations engaged in providing excellent quality Double Door Coating Plant. The offered plant is manufactured by using superior quality raw material and advanced technology in compliance with industry norms. Our quality experts check this system on different parameters in order to ensure its quality at clients' end. Moreover, we offer this system to our clients in variegated sizes and specifications so as to meet the requirements of our clients. Looking for Coating Plants ?